Pen & Paper | Whateverlah! I lost my one of Parker 45s a few months back, and that made me stop using my favourite pen, the Pelikan M215 for a while. Well, at least I did not take it out with me wherever I go. 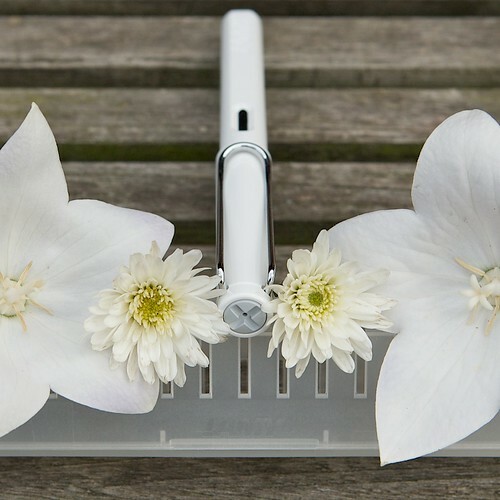 I’d use it when I am writing at home, but it goes back in the desk drawer after that. For daily knock around pen, I’d have a Pilot G2 1.0 always clipped to my pocket. I still use a fountain pen at my office, but stuck with the cheaper Pelikan Level 65. I took my Pelikan collection for cleaning and ink refilling, and I thought I’d use the M215 back in my daily pen rotation. I love fountain pens and this one here is the most expensive (that I can afford to splurge on) I bought for myself. I decided, if I bought it just to be kept in the drawers and gets used occasionally, it would really be a waste. I’d like to enjoy using the pen so it’ll be worth the money i spent on it. … I just need to be extra carefull, and not be careless leaving the pen everywhere. This pen has not seen any action for the past month, if I recall correctly. Since today is the first official working day after the Eid’ one week holiday, I pick out this pen as part ot today’s working arsenal. And the ink of choice for the pen this time around is the Sailor Red Brown. Really complimenting the colour of the pen itself. Inspired by the blog post and photos of inkyjournal’s White Lamy Safari fountain pen, I thought I’d show off one of my favourite pens … A 1969 Parker 45. The Parker 45 is loaded with a custom mix green ink. A 2:1 mixture of Pelikan Brilliant Black and Pelikan Green. The colour is a dark shade of green almost like the Private Reserve Sherwood Green. I’ve been using this ink mix for this pen for a couple of years now. These photos were taken with my Nokia E71 … Not as sharp as I would like it to be. I have another Parker 45 fountain pen. It’s an early 70’s Matte Red Parker 45 Coronet. I’ll write and post a few photos of the pen some other time. 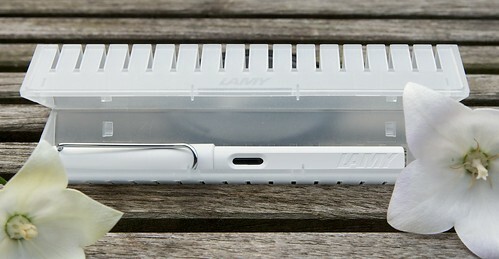 I have white Lamay Safari as well … In fact I have both the Black and White Summer 2007 Limited Edition. And I like them both. 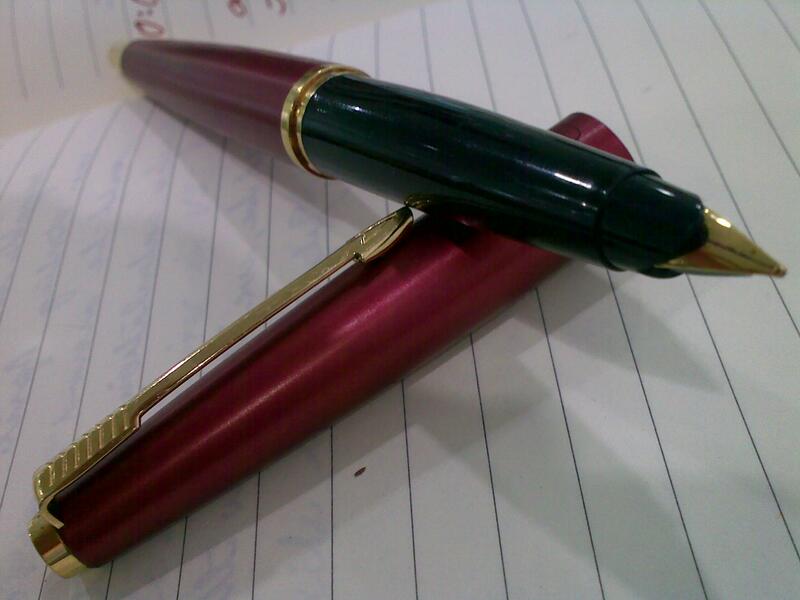 I have the black filled with Pelikan Black for ‘official’ use, and the white is loaded with Private Reserve Fiesta Red. That’s for my moleskine journal. 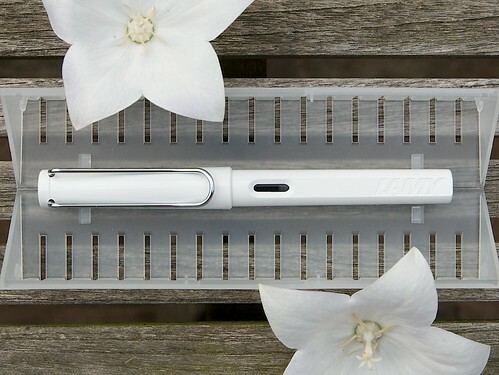 In my search for all the Lamy Safari’s Limited Editions I like, this white one, was one of the last pen’s I wanted besides the Lamy Safari Lime. I bought this pen at Writer’s Bloc. The pen was shipped fast (with some Rhodia stuff I also ordered). The pen came without converter. That was a little bummer because Pen Gallery put those things in the box also. But my daughter had a spare one left, wich I was allowed to use. 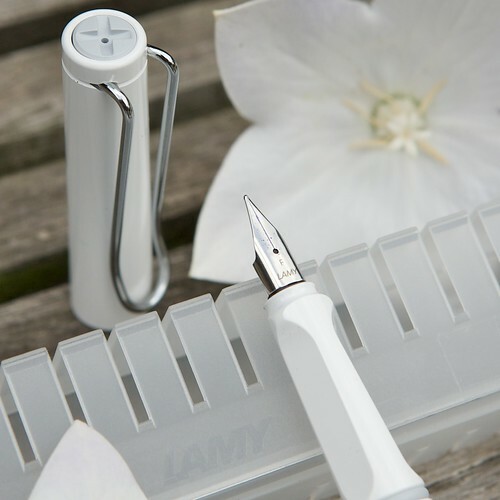 Reviews on Lamy Safari are online available just google it. 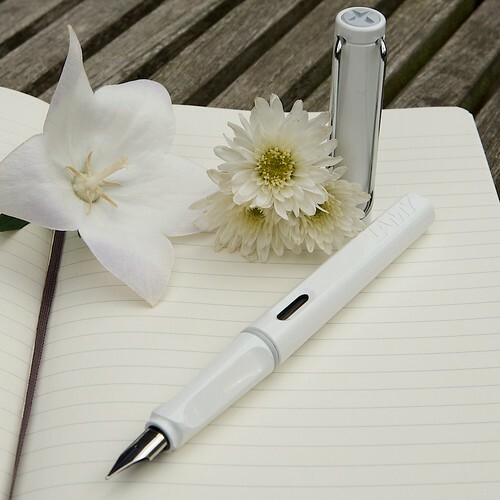 I wanted you to show the beauty of this pen. 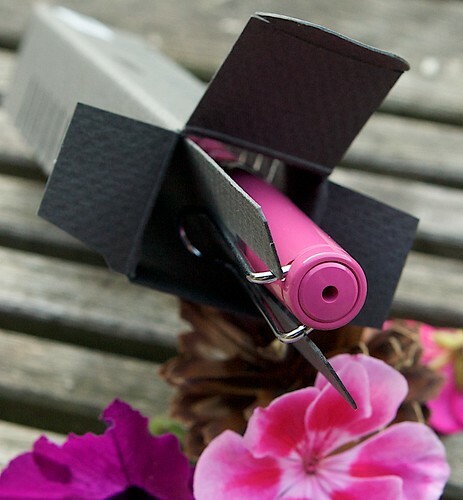 You can also read my review on the Lamy Safari Pink and Orange. This pen did not come in a cardboard box but in a plastic one. Also a nice box I think that suites this pen very well. My pen has a fine nib that writes great. I filled this pen with Aurora Blue. The nib makes the ink swing on the paper. This cap has a crosshairknob at the top. The Orange and the Pink one don’t have that. So they must have changed the model a little bit. It was not the first time that this had happened to me. Someone asked me what was I doing during a meeting last Saturday. A gentleman next to me tapped on my shoulders and asked me what was I doodling while an executive was giving a presentation. 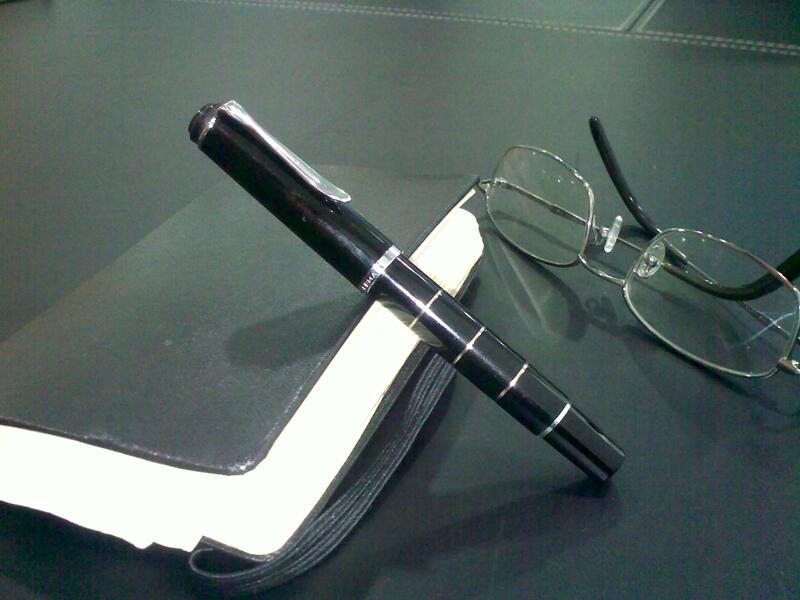 “I was taking notes”, he added, while showing a piece of paper with some words scribbled on it. “Okay, I was taking notes … and doodling at the same time”, I admitted to him, and showed him my note book. The last response I got from him was a small nod and “Ooo .. I see”. I have a short attention span, especially listening to something new and something I don’t really have interest in. In this case, I am not interested in the topic, but needed to jot down some important points for work purposes and reference. When it’s not interesting to me, facts, figures and procedures usually won’t stick in the glob of white mass between my ears. I hear, but I was not really listening … so, I take notes to remember. But sometimes, my mind still wanders around and I’ll be thingking of a different thing altogether. I usually doodle or draw what is related to the topic at hand so that it keeps my mind attached to the topic and catch important items put forth in the meeting or briefing. This is a page out of my moleskine with scribbles of notes and doodles I scribbled during that meeting on Saturday that attracted one man’s attention.